Do you want New Jersey to have more miles of connected walking and bicycling trails? Sure you do. Unfortunately, due to inefficient management, the state is actually on the verge of losing funding it’s already received for Circuit Trails and other bicycle and pedestrian projects. The Transportation Alternatives Program (TAP) and its predecessor, Transportation Enhancements (TE), has been one of the largest and most reliable sources of funding for bicycle and pedestrian projects in New Jersey. These programs have funded many miles of Circuit Trails, including portions of the Delaware River Heritage Trail and the Ben Franklin Bridge Walkway Ramp. 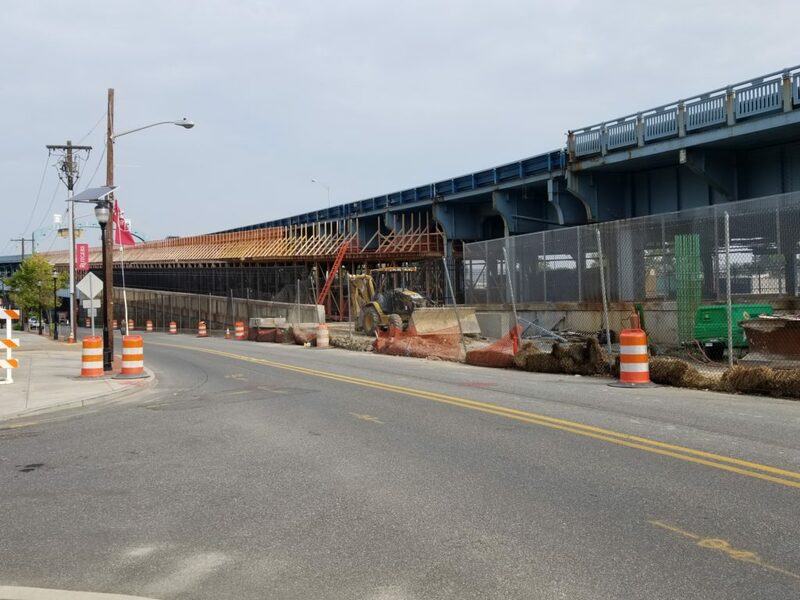 However, the New Jersey Department of Transportation has had problems with committing funds for potential projects that were not resolved during previous administrations. New Jersey has a huge backlog in unspent federal dollars. If these funds are not committed within a three year period, the State will return the funds to Washington DC. In 2017, NJ lost $6.2 million in funds due to expiration of 2014 “MAP-21” funds, the highest of any state in the country. On October 1, 2018, New Jersey will lose more funds when it has to return another $12 Million that is eligible to build trails and other bicycle/pedestrian projects. New Jersey DOT may be able to move a portion of the $12 Million over to another federal funding category and rescue the funds that are at risk of being lost. If some of the funding is saved, New Jersey DOT should ensure that towns and counties still be able to apply for those funds to build bicycle and pedestrian projects and trails. Please tell your elected officials to direct the NJ Department of Transportation to rescue a portion of the TAP funds that are set to be returned to Washington DC by September 30th. CLICK HERE TO SEND A MESSAGE DIRECTLY TO YOUR NEW JERSEY REPRESENTATIVES. Hi, please consider moving/using funds to build bicycle/pedestrian trails in New Jersey. Hi, Please consider /using TAP funds to build bicycle/pedestrian trails in New Jersey. My family and the residents of NJ would be so very grateful for years to come.